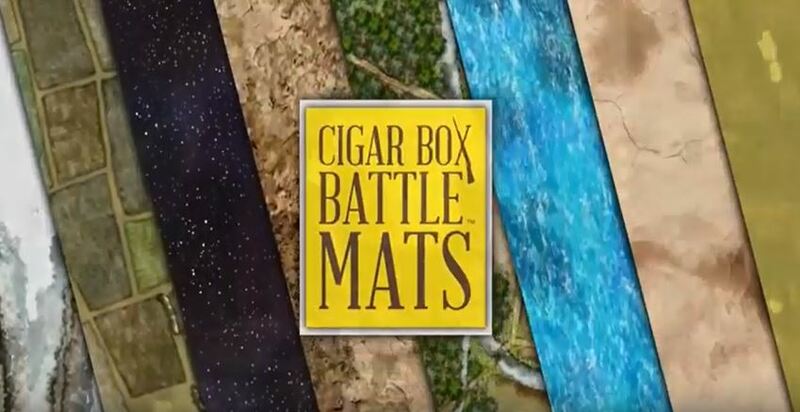 In podcast episode 221 we spoke to Cory Ring and Chris Ward from Cigar Box Battle, and we talked about their forthcoming kickstarter to produce double-sided plus battle mats. They have just released a series of preview videos for the project – I thought we’d present them here so that you can see them all in one place. The Kickstarter launches on August 1st 2017.